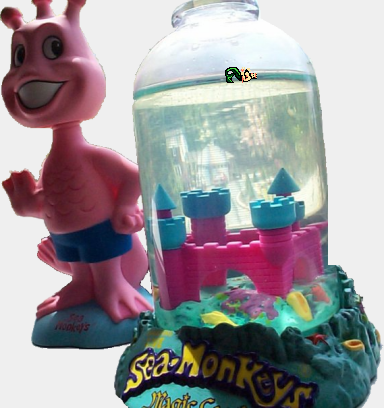 This article is dedicated to all of the briny, brave lives that were lost in my Sea-Monkeys Magic Castle tank. Swear to God, I aerated twice a day and everything! 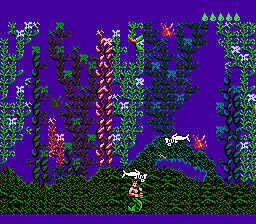 If you’re reading this page, chances are you already know more than you should about Color Dreams, the egregiously-named Brea, California-based developer and publisher of blackened Nintendo nightmares. 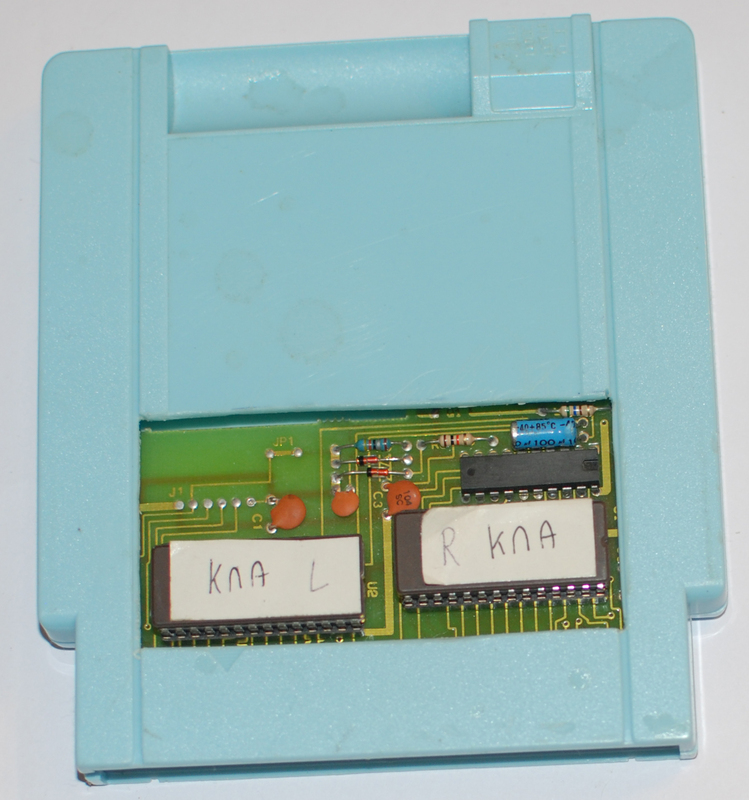 The unlicensed company avoided Nintendo’s legal wrath by not infringing on the patented lock-out chip (U.S. Patent No. 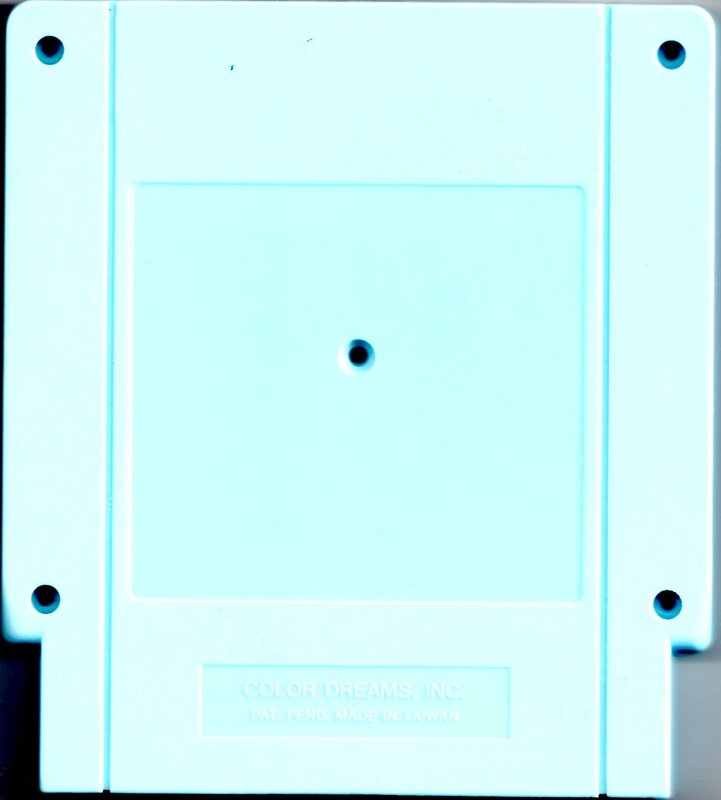 4,799,635) and the 45-degree bevel and underside recess cartridge design (U.S. Patent No. 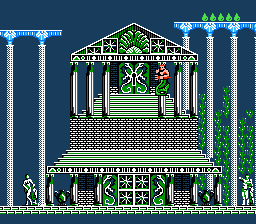 4,865,321). 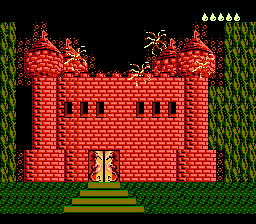 Its catalog of unbearable, screeching, blinding Nintendo Entertainment System software has cemented the company’s deservedly rotten reputation in classic gaming history forever. 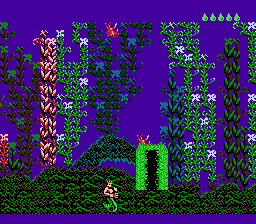 And, yet, blame it on the sadomasochistic MST3K effect, but there’s something curiously captivating about playing these unauthorized abominations. 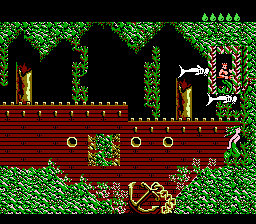 Sometimes a game can be so bad that it’s good–or, at least, it can be so bad that your palate learns to process that burning vomit aftertaste left in your mouth as a wild, zesty new flavor. 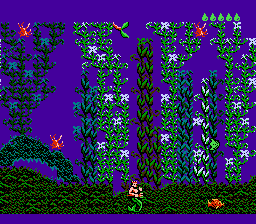 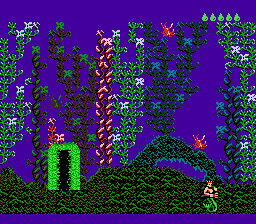 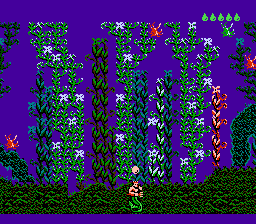 In 1990, Color Dreams served up an especially pungent seafood-sludge smorgasbord called King Neptune’s Adventure. 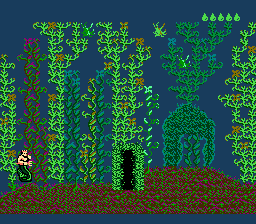 This underwater journey has the Lord of the Sea searching under every rainbow-colored gravel rock in Atlantis for his eight pieces of stolen loot and the all-important, pellet-shaped Orb of Peace (which he, in turn, robbed at tridentpoint from Pac-Man). 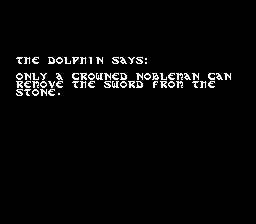 While exploring a sunken shipwreck, submerged castles, and an active undersea volcano, Nep (that’s what all his fish friends call him) hurls “Bolts of Goodness” and drops “Bubble Bombs” at the dirtier denizens of the deep, taking the occasional break from time to time to discuss aquatic politics with dolphin royalty. 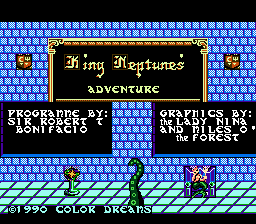 Bizarre, half-baked elements and all, King Neptune’s Adventure, in short, followed the typical Color Dreams formula of recycled game engines and completely throwaway gameplay. 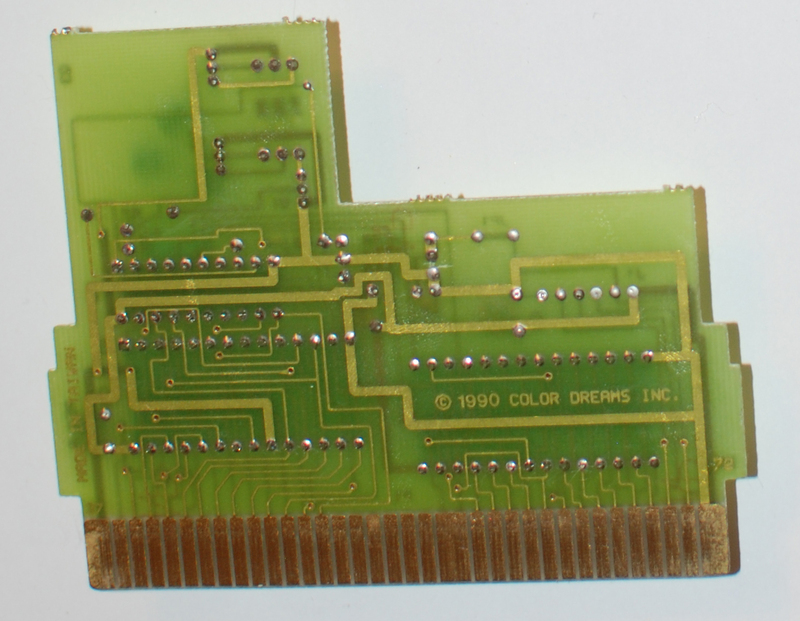 This prototype’s provenance traces all the way back to Phil Mikkelson, one of the original co-founders of Color Dreams. 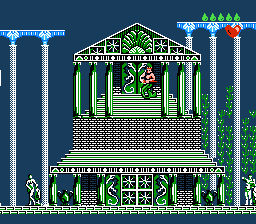 Former The Warp Zone webmaster and the only person special enough to have ever created an online Color Dreams shrine, Dave Allwein, contacted Mikkelson in 2003 and purchased King Neptune’s Adventure and several other prototypes from him, including Robert Byrne’s Pool Challenge and American Crisis, an unfinished game in which President George H. W. Bush shoots arrows out of his eyeballs at international dictators Fidel Castro and Muammar Gaddafi. 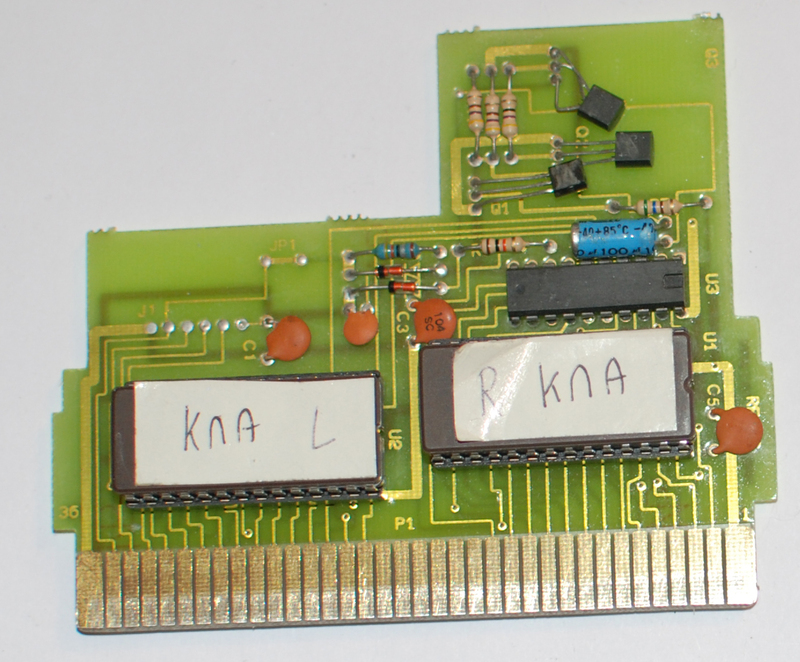 When Allwein went to study overseas in Germany several years later, he gifted some of these prototypes to an Nintendo prototype collector from the Netherlands who later decided to sell King Neptune’s Adventure in September 2012 so that I could document the differences. 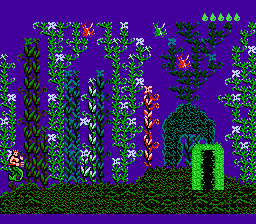 Disclaimer: I am not responsible for any sudden cold spots, nightly succubus attacks, shadow people with long fingernails, phantom vortex formations, odors of decaying flesh, or unannounced in-home visits from Leviathan as a result of downloading and playing these .MP3 files. 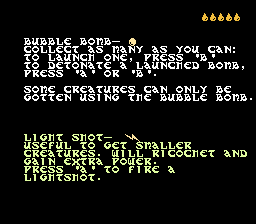 Some of the prototype’s sound effects have changed as well. 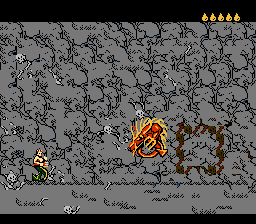 The prototype’s sound effect that’s heard when Neptune takes damage can only be described as constricted digitized farting. 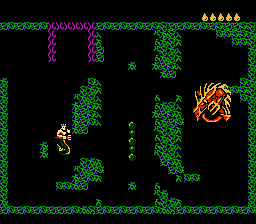 The prototype’s dying sound effect almost resembles the old “Shave and a Haircut” tune. 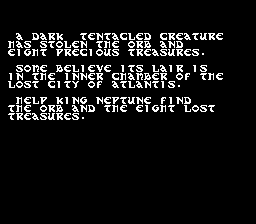 The font for the letter “X” is changed in the prototype. 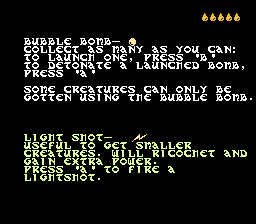 This different “X” was removed from the retail version. 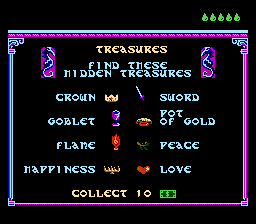 “Collect 10” and the Money sprite are missing from the prototype’s list of Treasures. 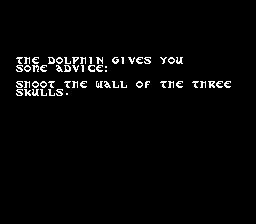 They have not yet been added to the game. In the retail version, the other Treasures appear farther up on this screen, too. 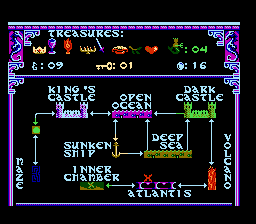 The first Treasure, the Crown, floats up and down in the retail version until Neptune swims over to collect it. 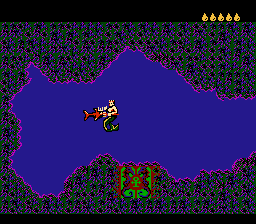 In the prototype, however, Neptune has to act fast or else the Crown will fall down off-screen and out of reach. The Map display differs in the prototype; the number of lives text is colored in a seaweed green, the Bubble Bombs sprite and number are colored in a briny blue, and the Money count is missing entirely. 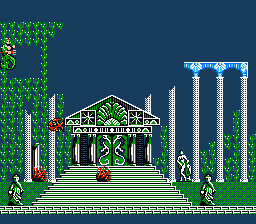 A “$” graphic exists in the prototype’s PPU viewer; this is proof that the addition of money had been planned at the time of this build. 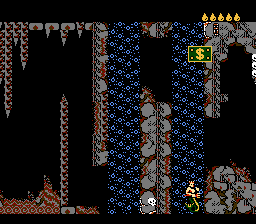 Furthermore, the number “50” takes up the spot where the Money sprite is stored in the retail version. The Peace sprite on the Map display is slightly more “detailed” in the retail version. 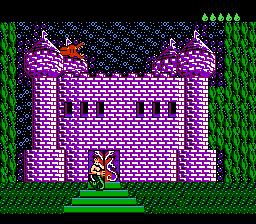 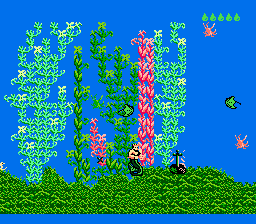 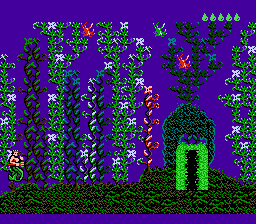 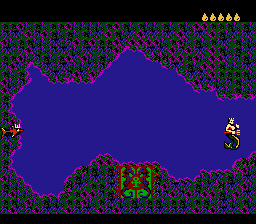 The two-headed fish creature outside of the King’s Castle swims at a higher elevation in the prototype. Money does float down after shooting the left castle spire. 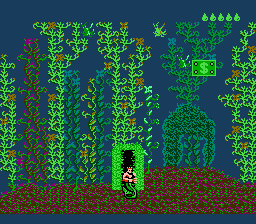 None of the hidden money spots exist in the prototype. 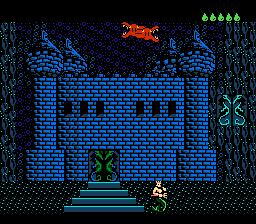 Neptune will have to put on his enchanted water-proof contact lenses to see this change: On the screen to the left of the King’s Castle, by the Dolphin King, a small chunk of the center-top graphics is flipped. 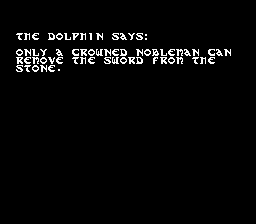 The Dolphin King’s speech text is positioned lower in the prototype. 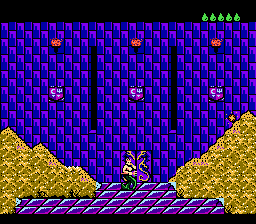 The prototype’s Money in the Maze is missing. 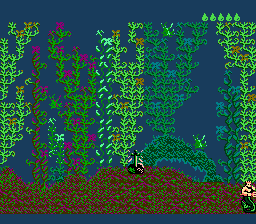 The prototype shows a brighter, more cheerful, and less seaweed-entangled Open Ocean. Again, there’s no floating money at all in the prototype. Also, the prototype’s doorway to Sunken Ship is pushed back. 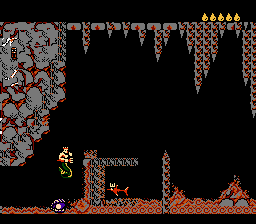 When Neptune exits Sunken Ship to return to Open Ocean, he’ll come out on the left side of the doorway. 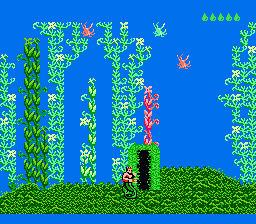 He can only re-enter Sunken Ship by creeping in the back of some seaweed. 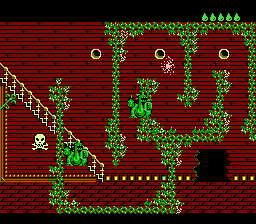 The entrance to Sunken Ship is different; the prototype’s doorway looks like it’s made of seaweed, whereas the retail version has a big gaping hole. 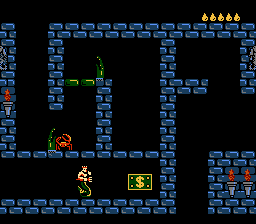 The Money has also vanished in the prototype. The Pot of Gold left by the skeleton captain isn’t as uniform in its glittery golden appearance in the prototype. 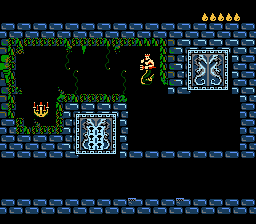 The Magic Key found in the Sunken Ship room teeming with Hydra does not disappear from Neptune’s inventory in the prototype after using it on the locked doorway leading to the Sea Witch. 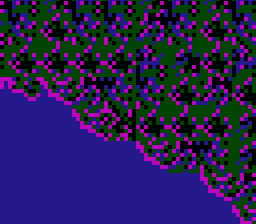 The strands of seaweed in Deep Sea are narrower in the prototype, and the doorway to Open Ocean is moved back a little ways. 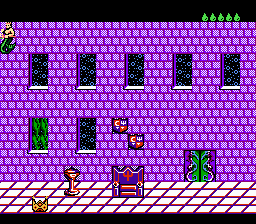 The prototype’s Peace floats all the way up until it reaches the top of the screen–almost as if it’s trying to get a little peace of its own by escaping from this game. In the retail version, just like in real life, Peace only goes so far. 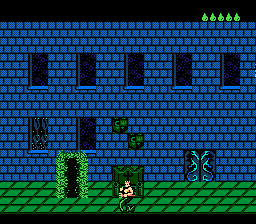 The doorway to reach the Dark Castle is located closer in the prototype and magically appears when Neptune swims near. 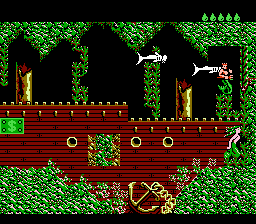 In the retail version, Neptune has to swim to the last screen on the right and then wrestle a ferocious gang of Albino Sharks to gain access to this entrance. 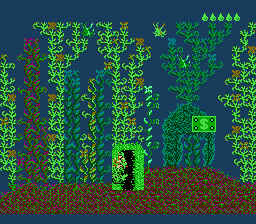 The hidden Money here has not yet been added in the prototype. 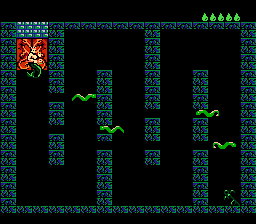 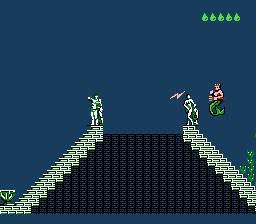 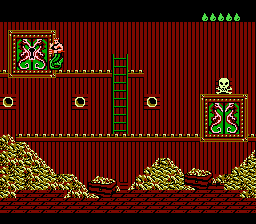 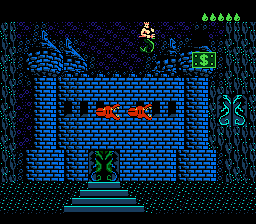 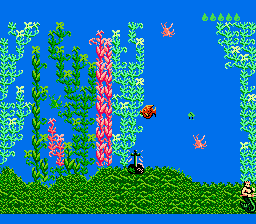 Also, just as outside of the King’s Castle, a couple of two-headed fishy freaks cling to the top of this screen in the prototype. 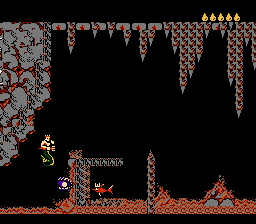 Inside of the Dark Castle, the Goblet floats to the left in the prototype instead of to the right and stays visible on the screen until Neptune grabs it. 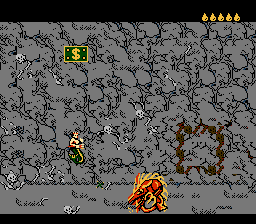 The hidden Money by the Volcano stream does not appear in the prototype. After saving the prototype’s caged Dolphin King in the Volcano, he’ll be “thankful” and clue you into the fact that a Treasure will appear by desecrating some poor souls’ remains. 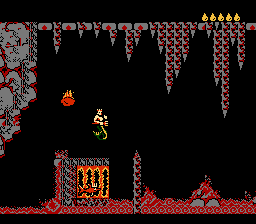 This Oyster remains grounded on the Volcano’s floor in the prototype instead of floating up and down. 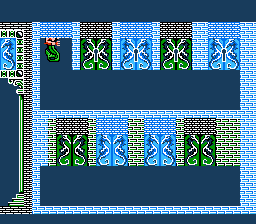 Inside of the room full of Electric Eels in Atlantis, the prototype’s Magic Key rests on the bottom right corner and does not float up and down like in the retail version. 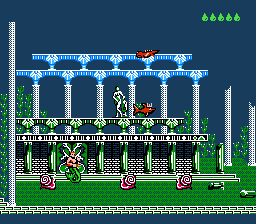 This forces Neptune to navigate the entire dangerous maze. 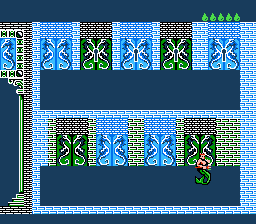 Re-entering the room after swiping the Magic Key causes yet another one to materialize in the prototype. 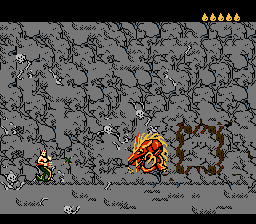 Collecting the Magic Keys over and over again results in the game glitching. 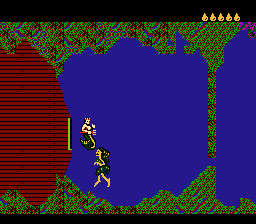 Rather than exiting out of the building’s doorway, Neptune will come out of the doorway to the Volcano. 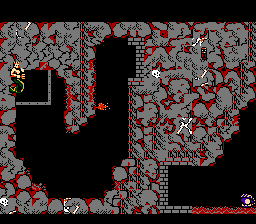 Yet again, this hidden Money is missing from the prototype. The extra Magic Keys will now come in handy for Neptune, as the doorways past the Pit Monster are all locked in the prototype. The middle doorway transports Neptune back to the entrance of Atlantis instead of at the end of the Volcano. The second-to-last doorway never stays unlocked, so repeatedly entering it will eventually take away all of Neptune’s Magic Keys. 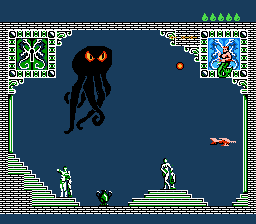 The last doorway in the lower room takes Neptune to the entrance of Atlantis instead of to the Pit Monster. 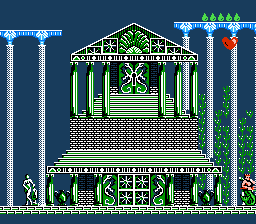 The Heart floats higher in the prototype. 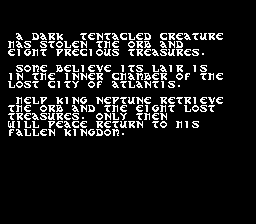 King Neptune cannot simply swim through his entire adventure without ever having collected a single Treasure because he will not be able to enter the room with the Octopus boss inside. 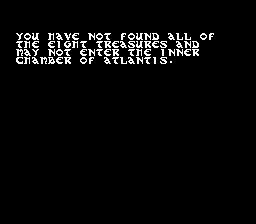 Even though the Map display shows this room as being in Atlantis, the prototype nonetheless refers to it as the Inner Chamber. Attempting to enter without possessing all Treasures will result in Neptune being transported back to the very beginning of Atlantis. 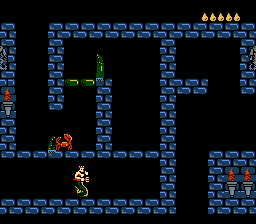 After grilling up some villainous squid, King Neptune can finally enter the Inner Chamber to retrieve the Orb of Peace. 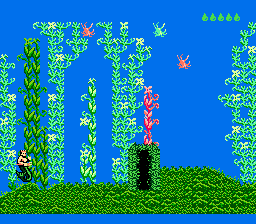 But hold your seahorses, Aquaman! 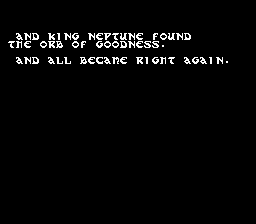 The game will tell Neptune that he hasn’t found all eight lost Treasures, even though he has. He’ll still storm into the Inner Chamber despite the buggy warning. 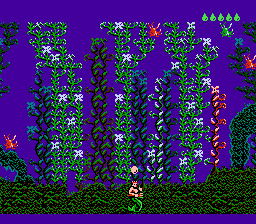 The prototype speeds through the underwater fireworks show in less than a second as opposed to lasting for about 15 seconds like in the retail version. 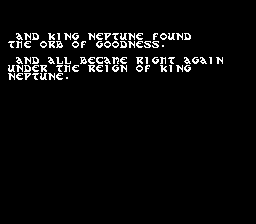 The final ending screen includes some more extra text (“…under the reign of King Neptune”) that was axed from the retail version probably because of its redundancy. 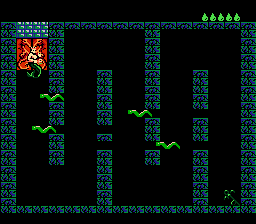 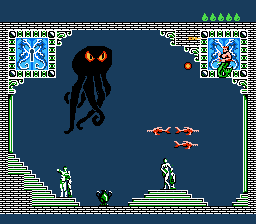 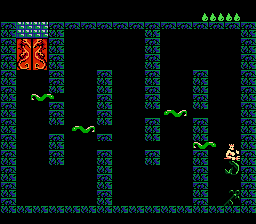 Now to leave you with a real brain buster: Why is the tentacled thief’s appendage green and contorted on the title screen when clearly at the end of the game the Octopus is as black as ink and moves as freely as a pre-printed Game & Watch graphic?